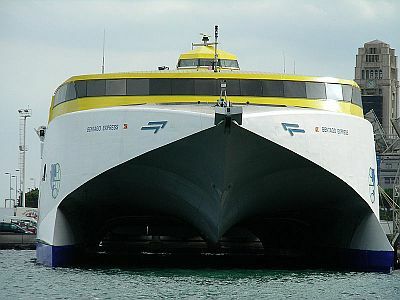 Tenerife ferries - not only inter-island, but connecting to the mainland! 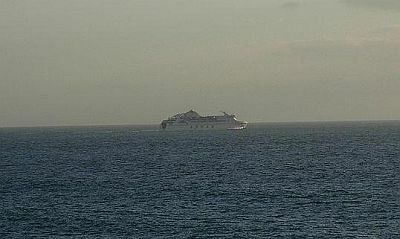 Tenerife ferries. When you clicked on the link "ferries", I suppose you were expecting information about services connecting to neighbouring Canary islands - which, indeed, you'll be getting, but there are also ferry services between Tenerife and the Iberian peninsula. So, it is possible to live in the UK and make your way to your Canary Island destination, without using an aeroplane at all! It takes considerably longer, of course, but it's a bit of an adventure, can be thoroughly entertaining and it's something a little bit different. This company provides routes to all six other Canary Islands. It also connects to the island of Madeira and the Portuguese mainland, at Portimao. Routes to Gran Canaria, Lanzarote, Furteventura and La Palma are available, plus a connection to the Spanish mainland, at Cadiz. More a short distance specialist, this company offers Tenerife ferries to the islands of La Gomera, La Palma, Gran Canaria and El Hierro. All vessels are luxuriously equipped and provide a pleasant way to explore the other islands of the archipelago. They are also quite handy if you're afraid of flying!